Just because you score an important goal at the World Cup, it doesn’t mean you’re exempt for some light-hearted trolling from your teammates. Just Ask England’s man of the hour. 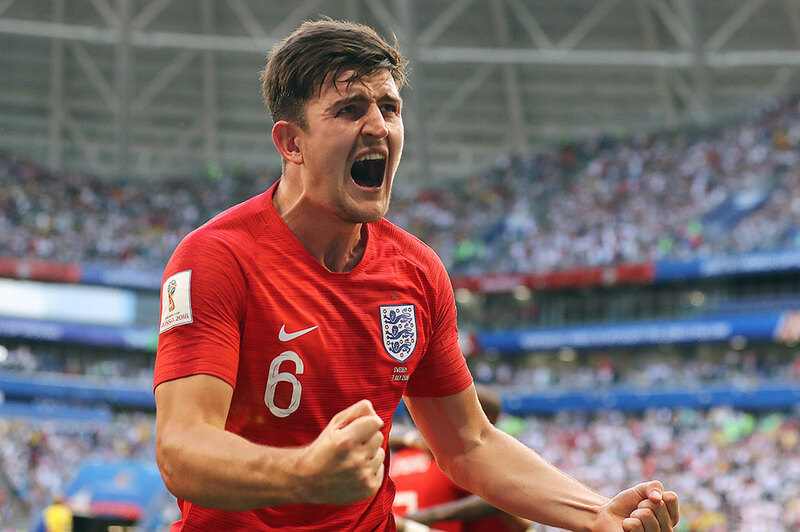 Harry Maguire. Despite giving the Three Lions a vital lead in the first half against Sweden, he was still trolled post-match by international teammate, Kyle Walker. The Manchester City star trolled the Leicester City player on Twitter after England’s 2-0 victory against Sweden, which helped them progress to the semi-final stage of the tournament. It’s good to see the England boys having a bit of fun post-match, even Maguire found it a bit funny. During the game, we saw a stand out performance from ‘keeper Jordan Pickford. Determined to keep a clean sheet, as Swedish striker Marcus Berg hit a powerful shot, Pickford dived low and to his right to block out the attempt with a brick-like fist, and just a few moments later, the 24-year-old jumped at full stretch to tip over a rising shot, again from Berg. England made it through to the semi-final, and looked pretty darn good, with Pickford proving himself to be invaluable once again. Expect every corner of England to be a scene of joy and pandemonium for the whole day today, as the national team is one step closer to reaching their first final since 1966. The Three Lions entered the tournament with one of the youngest and most inexperienced squads, making expectations relatively low. However, Southgate has given the team – and by extension, the country – renewed pride and vigour, a feeling not felt, arguably, since Euro ’96. After making it out of the group stages, beating Tunisia and Panama (before losing to Belgium), they reached the second round knockout stages where they finally exorcised their demons and beat Colombia in a nail-biting penalty shootout. With Sweden now put to rest, the squad can focus on preparing for a semi-final clash with either Croatia or host nation Russia. Gareth Southgate’s men will find out who they’ll be facing next week later on this evening, when Russia v Croatia kicks-off at 7:00pm. Whisper it quietly but I think football is coming home! You can watch the Croatia v Russia match live on ITV, with live coverage starting from 6:00 PM.